Get the same jump technology used by Team USA for training Olympic volleyball athletes. VERT is a matchbox-sized wearable that tracks jumps and shows you—in real time—your best vertical, your average vertical, and the number of jumps in a session. A free companion app sends jump stats to a smartphone or tablet, and can track multiple athletes at the same time. Made in the USA, VERT is the first wearable of its kind. Dimensions: 2.25" x 1" x 0.25"
We were extra excited that Martin makes VERT in the USA. It’s no wonder that Team USA for training Olympic volleyball athletes is a VERT partner. 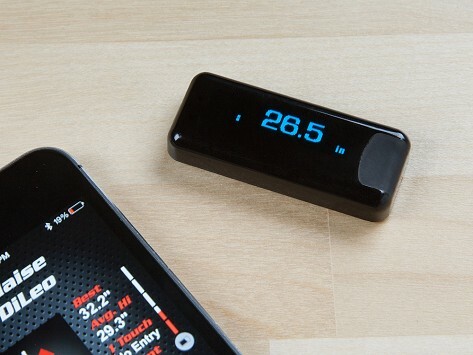 It shows just how high VERT sets the bar for wearables.